For 2,000 years, the standard philosophical model of knowledge was that it could be defined as a justified true belief. According to this way of thinking, we can know, for example, that we are human because  we believe ourselves to be human;  that belief is justified (others treat us as humans, not as dogs); and  the belief is true. This definition, which dates to Plato, was challenged by Edmund Gettier in one of the most influential works of philosophy published in the last century – a three page paper that produced two clear examples of justified true beliefs that could not, in fact, be considered knowledge. Gettier's achievement rests on solid foundations provided by his mastery of the critical thinking skill of analysis. By understanding the way in which Plato – and every other epistemologist – had built their arguments, he was able to identify the relationships between the parts, and the assumptions that underpinned then. 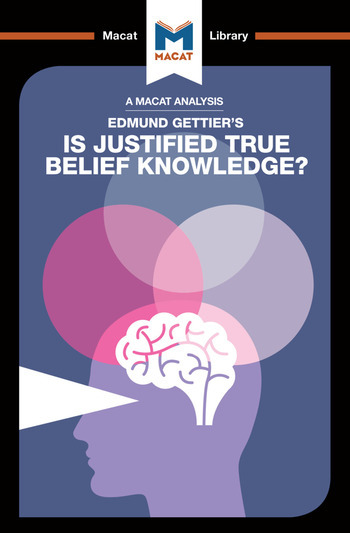 That precise understanding was what Gettier required to mount a convincing challenge to the theory – one that was bolstered by a reasoning skill that put his counter case pithily, and in a form his colleagues found all but unchallengeable. Professor Jason Schukraft teaches Philosophy at The University of Texas at Austin.